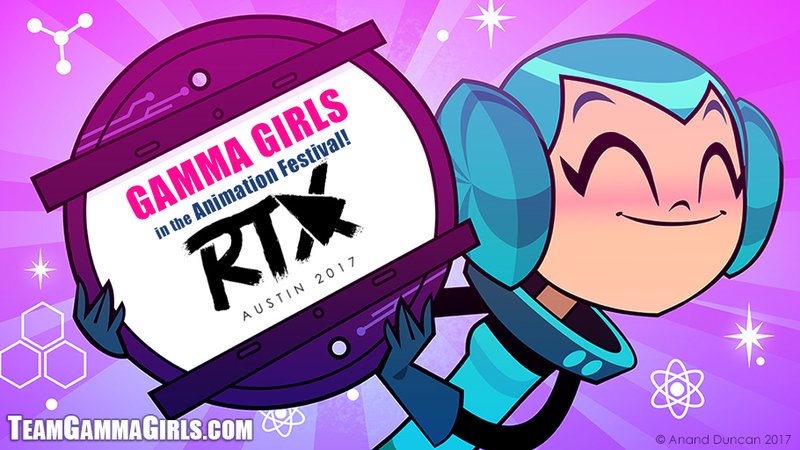 The Gamma Girls are two smart and goofy teen rocket scientists exploring space. The animated cartoon shorts are packed with the Gamma Girl’s enthusiasm for STEAM (science, technology, engineering, art and math) but with plenty of room for silly nonsense. The teen rocket scientists, Pi and Beta, who do not follow the norm, are in their own world of weird and silly. Not only did they rig their ship to vortex hop, they use their quantum computing skills for ventures like giant candy makers and telling elaborate jokes about transistors. They spend just as much time goofing around as they do collecting astrophysics data. Along for the ride is Fritz, a mischievous space ferret and Snappy, the ship’s cyborg dinosaur head. This team is ready for take off!